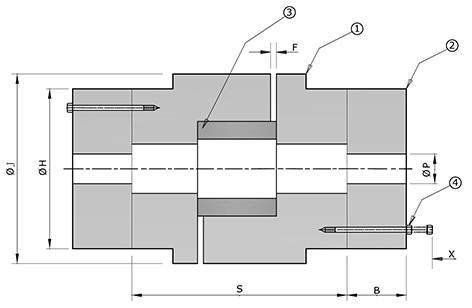 • Spacer coupling with star / spider design. • Recommended specially for back pull out pumps & when the distance between shafts is more than the standard. • Easy replacement of spider without removing equipment from base. Thus less down time. H. T. fastners used. • Capacity up to 24 kg-m of torque. • Available in various spacer lengths of 75,90,100,135,140,180 mm. • Also recommended where disconnection of driver & driven is required.